Recently, I underestimated the ability, resolve and speed of a monkey. Yes … a monkey. I know what you’re thinking … but I never intended to upset him. He was right next to me, and I just wanted to take his picture. It didn’t matter that I was bigger or smarter (so I thought). I was in his territory and he didn’t like it. In a split second, this fiery bundle of fur snatched the camera out of my hand—I didn’t even see him move before it was in his possession. Spellbound and shocked are not adequate words to describe my appearance at that moment. 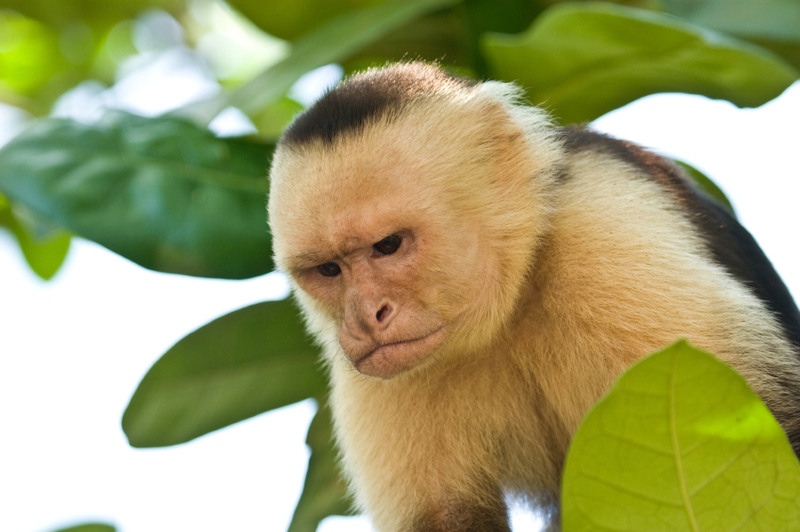 The gasps of those nearby brought me back to reality—a monkey outsmarted me. Sometimes in my daily walk I assume things that aren’t true as I did that day. One of those misconceptions is believing that I am in control when I’m not. It may indicate I’m not paying attention to what God is saying. Or perhaps I haven’t even asked Him about a particular issue when I think I already know the answer. As humans, we are destined to make mistakes. It has been correctly said that the true test of a man or woman is what they do when they discover they are wrong. This is especially true when we discover that, not only were we not in control, we weren’t even on the right path. The insidious character of sin convinces us that the sin with which we flirt is harmless. The first lie is that we are in control. The second, and more potent lie is that some sins are harmless. When we allow sin to slip into our lives in a private manner—a way in which no one else will know, it may be the most harmful of all sins. That’s ominous—sin, fully grown, causes death. It’s in scripture, it’s true, and we need to believe it. The good news, of course, is that Jesus died for our sins, but that does not mean that we may continue in our sin without a second thought. Sin, all sin has consequences leading to death. It is not to be taken lightly, nor is it to condemn those of us who live in Christ. He does not tolerate sin, and neither should we. In other words, there is no harmless sin—not to Christ, and not to us. By the way, I got my camera back, but only because the monkey allowed it. He really was in charge. Next: WHAT IS THE MARK OF A CHRIST FOLLOWER?